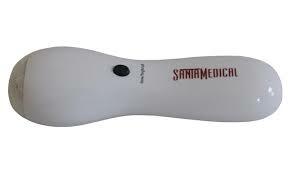 Santamedical sleek mini massager delivers a steady, relaxing massage to tired muscles. Your neck, shoulders and face will sigh with relief when you sooth them with the Santamedical mini . The mini ‘s small size is perfect for a woman’s hand but powerful enough to bring relief to the tightest muscles. mini massager come in white color. A perfect gift! 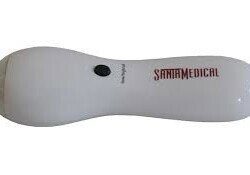 Santamedical sleek mini massager delivers a steady, relaxing massage to tired muscles. Your neck, shoulders and face will sigh with relief when you sooth them with the Santamedical mini. The mini’s small size is perfect for a woman’s hand but powerful enough to bring relief to the tightest muscles. Mini massager come in white color.